We have to admit that since roofs are hardly seen, they are hardly noticed until a hole is noticed through a leak in your ceiling. Many have expressed the opinion that maintaining their roof will prove to be effective in avoiding issues with it. The roof covers the entire house and protects its contents from outside forces. Although it is easy to think that the roof gets its cleaning from the rain it receives, roof cleaning is much more deep, and provides much better results. A roof that is not aesthetically pleasing may is never desirable and you may even think about an outright replacement if this is the situation being presented. However, a simple roof cleaning procedure will remove most dirt and stains from your roof, bringing it back to an aesthetically pleasing condition. 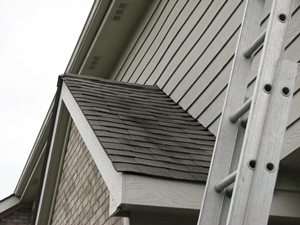 Cleaning is the best maintenance for any structure, and also is true for your roof. Cleaning your roof on a seasonal or yearly basis will prevent the growth of organisms that may cause damage. For example, some roofs become home to algae growth that may have been unnoticed for many years, and to add fuel to the fire, the rain and the sun are known to promote the growth of these organisms, which may cause damage to parts of your roof if left untreated. However, dedicated cleaning will do the trick and restore the beauty your roof once had. This usually involves cleaning with the right cleaners and the right professionals to ensure a proper clean and avoid damage to the roof. The roof cleaning company should also involve a roof inspection for any damage that may need immediate repair or restoration. A simple repair done in a timely manner will spare you of some cost later if the problem is left to deteriorate from sheer neglect. This may seem unimportant, but the trouble it saves you later is good for your welfare and pocket.